Make sure your project meets LEED requirements by using products from FIRST MATERIALS & TECHNOLOGY, INC. Contact us today in Houston to learn more about our commitment to environmentally friendly soil stabilization materials. All of our products can help you meet the U.S. Green Building Council Leadership in Energy and Environmental Development (LEED) requirements. 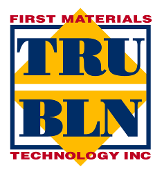 Our TRU-BLN, TRU-CHEM, and fly ash products are each made from a minimum of 50% recycled materials or materials that have been extracted, harvested, or recovered, as well as manufactured, at a local source. Products can be delivered to your project site within 500 miles of our plant to keep your project within LEED and UGBC specifications. More details on these ratings and specifications can be accessed at the USGBC website. Download a copy of the LEED for New Construction & Major Renovations document to determine if your business complies.